Ashley Barnes followed up his two goals against Peterborough on Saturday with another brace as table-topping Brighton stretched their unbeaten run to 12 games with a 3-0 win over Exeter. 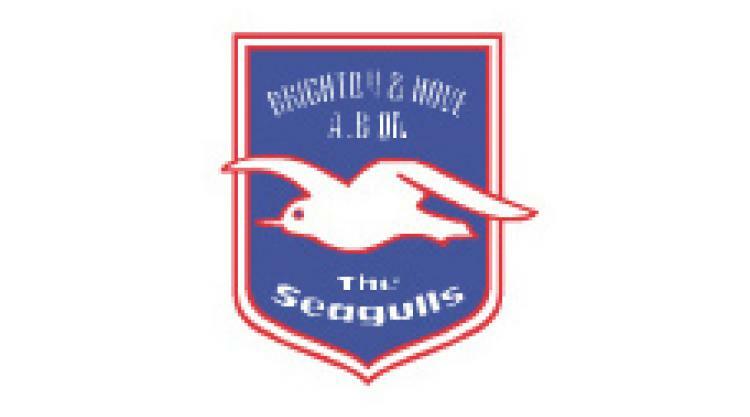 Defender Adam El-Abd gave the Seagulls the perfect start after only seven minutes, heading in a corner from Elliott Bennett. Barnes doubled the advantage from the penalty spot on the half-hour after Troy Archibald-Henville bundled over Glenn Murray in the area. Barnes put the seal on Brighton's fourth straight win by blasting his seventh of the season from a pass by Bennett with 13 minutes remaining. Keeper Artur Krysiak produced fine saves from substitute Augustin Battipiedi, Barnes and Kazenga LuaLua in stoppage time to spare Exeter a heavier defeat. Exeter, forced to make six changes after sickness swept through their camp, rarely threatened and James Norwood blazed their best opportunity wide.